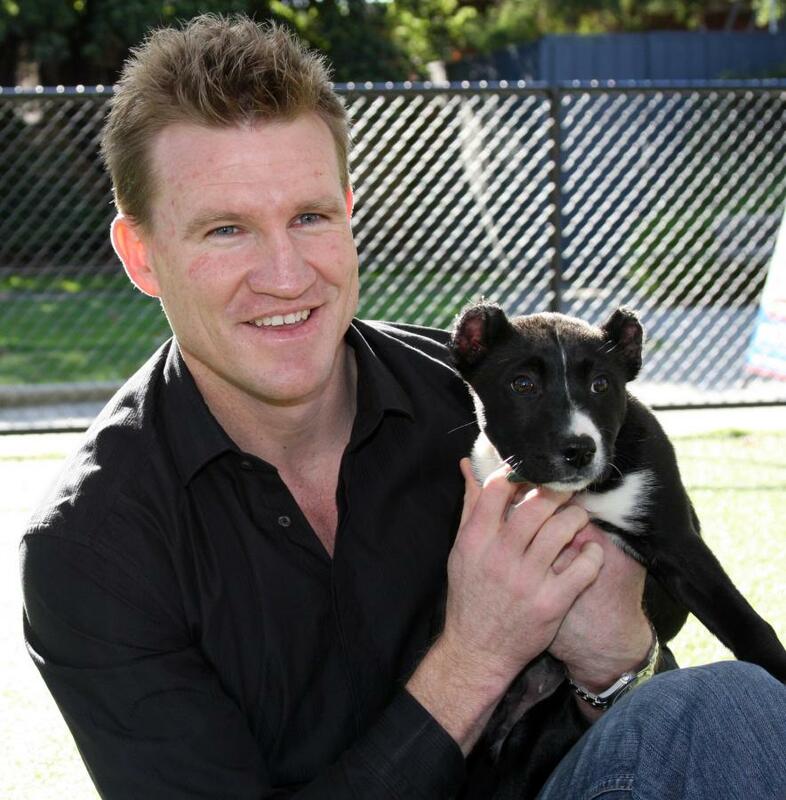 13 week old Buckley the puppy had a visit from his namesake, former Collingwood star Nathan Buckley on Wednesday. Nathan took pleasure in meeting little Buckley as he enjoyed more quality time socialising and playing with his canine friends Bonnie and Ruby at the Home. Buckley the pup then demonstrated just why he was named after the football great when they shared a game of tug-of-war with one of Buckley’s toys. With his usual tenacity and determination Buckley the pup refused to let go! In an interview later Nathan said he was honoured that the Home had chosen to call Buckley the pup after him. For The Lost Dogs’ Home’s Operations Manager, Sue Conroy, it was an obvious choice: puppy Buckley has a true fighting spirit and great determination. He has more than demonstrated these characteristics surviving the horrific attack on him and since during his recovery at the Home. Keep updated on Buckley’s progress at www.dogshome.com.